With animated images being so incredibly prominent in the life of the average Internet user, Live Photos seem like the logical next step for our mobile cameras. Creating animated GIFs by capturing multiple images was the first stepping stone and Live Photos continues the trend by taking a fundamentally different approach. Whether the feature is a gimmick or something that will transform the way you look at pictures is entirely up to you but let us take a look at the ins and outs of Live Photos before you make up your mind for good. The best possible way to understand Live Photos is to remember those amazing moving pictures from the Harry Potter universe which were frequently featured in the newspapers of the world; moving images with sound on a constant loop. Another way to think of them is like a GIF with sound or simply as a tiny little looped video. Technically, Live Photos are not videos as they are created with a frame-to-frame technology that produces motion effects but thinking of them as “videos” will not kill anyone. Live Photos can only be taken with the iPhone 6s and iPhone 6s Plus. At least that is the official decree. A jailbreak tweak that enables the feature on older devices has already been released and we will view it in detail further on. Both the front and rear cameras can capture Live Photos. All devices that support iOS 9 can view these photos. While the concept of Live Photos is not entirely original, the way the feature is integrated into the system will be a new experience to most users. To capture a Live Photo, open your Camera app and tap on the bullseye icon which is situated between the HDR button and the timer at the top of the screen. When the feature is on, it will turn yellow. Some users are reporting that the feature is enabled by default while others find that they have to turn it on manually. Live Photos take up at least twice as much space as regular photos so it is highly recommended that you only enable the feature when you want to use it and not leave it on all the time. Now that you know how to capture them, you should also know a couple of things about how they work. First of all, the Live Photos feature starts capturing video 1.5 seconds before you actually press on the shutter/capture button. It also continues to capture for the same amount of time after you capture a Live Photo. During that entire time, audio will also be recorded. This means that you will have to change the way you capture photos if you want to use the feature otherwise you will be left with plenty of shots starting at your shoes and ending with you swearing at your friends for not standing statue-still. The iOS 9.1 update fixes this issue somewhat as your iPhone will now sense when you are raising/lowering it in order to avoid these mishaps. To find Live Photos in your device, look for the bullseye icon in the top left corner. If you cannot see it, tapping on the Live Photo should reveal it. The way you view Live Photos differs a bit depending on the device you are on. Remember that you can only see the Live Photos on iOS 9 and OS X El Capitan. You can also view them on your Apple Watch but only if you set them as your watch face. On iPhone 6s and iPhone 6s Plus, all you have to do is hard-press (tap with pressure) on the photo once as you will be taking advantage of 3D Touch. 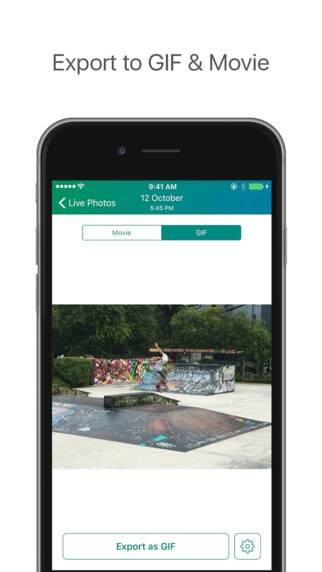 On older devices, users will have to long-press (continue pressing) on the Live Photos in order to view them. And as for OS X, simply opening the image should do the trick. Devices from other companies do not support Live Photo at all. Though Live Photos can be viewed in multiple devices, users will have to share them using one of the three supported methods otherwise they will not function properly. The three ways to share them is by the Messages app, by creating a Shared Photo Album or by transferring them via AirDrop. Live Photos are easily distinguishable by the bullseye icon and the “LIVE” mark when sharing. Other apps and services such as Facebook and Getty Images will also support Live Photos in the near future so you will potentially have additional methods of sharing them too. As expected, people have already made apps that can turn your Live Photos into animated GIFs and videos so that you can share them across all devices without limitations. None of the currently available apps is free, however, so your options may be limited. I would suggest starting with Lively as it allows for three free exports and you can see if the results work for you. Another app you can try is Live GIF but it has no free trial. Both apps cost $1.99 in their full versions and while they are inherently similar, they do have some noticeable differences so be sure to check their full descriptions before choosing either. Turning a Live Photo into a normal one is extremely easy but there are quite a few limitations. For instance, the only frame you can actually use is the first one. If you want to capture a frame from another moment of the Live Photo you will have to either take a screenshot or go frame-by-frame in a media editing app. To turn a Live Photo into a standard one, tap on the Edit button at the top right corner of the photo and then tap on the blue bullseye icon on the opposite side. When that turns white, your Live Photo will be turned into a normal one once you press the Done button. This process does not actually delete the Live Photo files so you can simply edit the photo again and tap on the “Revert” option to turn it into a living image again. A jailbreak tweak called “EnableLivePhotos” was recently made available for free in the BigBoss Repo and it allows users of older iOS devices to not only capture Live Photos but also display them in the Lock Screen. Installing the tweak adds the functionality in the stock Camera app and it works exactly like in the iPhone 6s and iPhone 6s Plus so look above on how to use it. Furthermore, tapping on the Share button while viewing a Live Photo will provide you with a “Use as Wallpaper” option. The photo will appear to be still on your Lock Screen but long-pressing it will make it move. Though the tweak is absolutely fantastic, it is very unfortunate that it is limited to jailbreaking users.